A huge roar reverberated around the BayArena at the full-time whistle as the Bayer 04 Leverkusen fans celebrated a deserved 3-0 win over Eintracht Frankfurt. The cheer was for the team’s result, but also aimed in the direction of striker Javier 'Chicharito' Hernandez for his two goals. 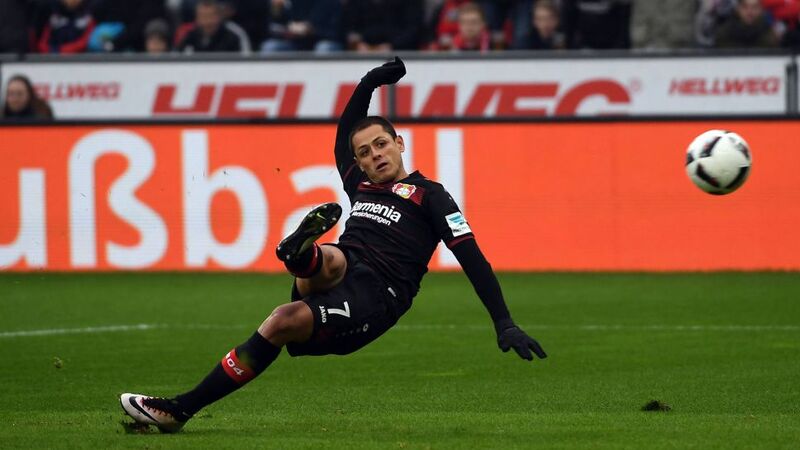 Click here to see what Chicharito's performance earned in the Official Fantasy Bundesliga! The fans’ reaction was tinged with a sense of relief, too. The victory was the perfect response to back-to-back defeats for Die Werkself and also signalled the return to form of their Mexican forward. Chicharito - The Little Pea - now has three goals in his last two appearances following a barren run of eleven Bundesliga games without finding the back of the net. The drought came to an end on Matchday 18 against Borussia Mönchengladbach, but Chicharito looked back to his very best against a Frankfurt side who boasted the second-best defence in the league before kick-off. His brace was typical Hernandez: right place, right time, right finish. 'Give him the ball and he will score,' is a common saying in football, and that is exactly what Leverkusen did against Frankfurt. The creative talents of Kevin Kampl, Julian Brandt and Karim Bellarabi all combined for the second goal, which the Mexican was on hand to volley away for a certain goal of the month candidate. Leverkusen are still seven points adrift of UEFA Champions League qualification, but there are echoes of last season's late charge with 14 games remaining. Die Werkself turned around a 3-0 deficit to draw at FC Augsburg on Matchday 25 last term before going on a run of seven consecutive victories, which included three goals from Chicharito. Bayer keeper Bernd Leno, who made his 250th appearance for the club against Eintracht, believes that run gives the team belief. "There are parallels with last season," he said. "The gap's big at the moment, but definitely not beyond our reach." Die Werkself know they will need a similar sequence of results this campaign, as well as the type of performance Chicharito showed against Frankfurt if they are to repeat the feat and qualify for European football for the eighth season in a row.